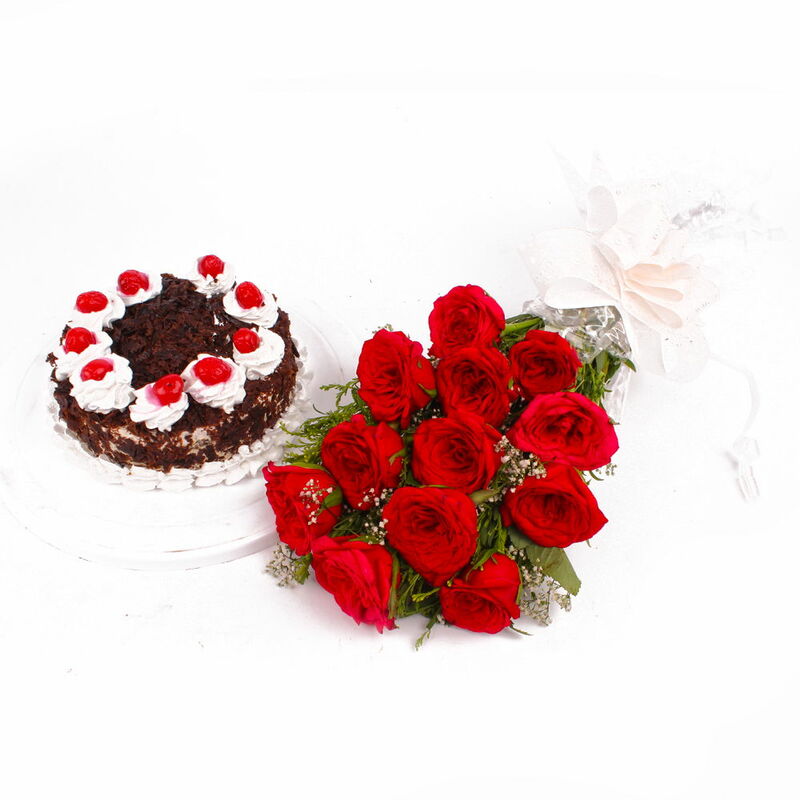 Brighten the special day of your loved ones with alluring shades of flowers bouquet of 12 Red Roses along with Black Forest cake which makes for a fabulous gift item for your near and dear ones on any special occasions. 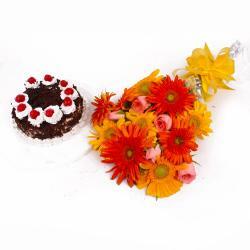 These Gift hamper can also be a romantic gifts for your beloved on any special occasion. 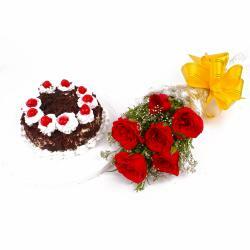 These combo can be a wonderful options for occasions like Anniversaries, Diwali, Birthday, Parents Day, Diwali, Christmas, Holi, Pongal, Valentine's Day and other special events. 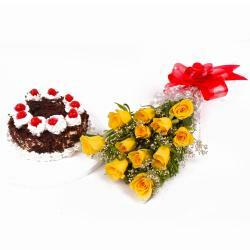 Thus send this hamper and bewilder your loving Indian counterpart along with other Gifts to India through Giftacrossindia.com. 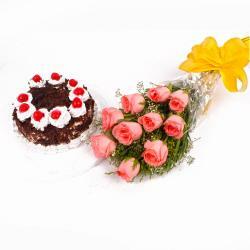 This gift hamper contains : Bunch of 12 Red Roses along with Half Kg Black Forest Cake.